You are here: Home / Akron NTMA Family Night! Not interested in Medina ? Please choose a different community. More About Akron NTMA Family Night! 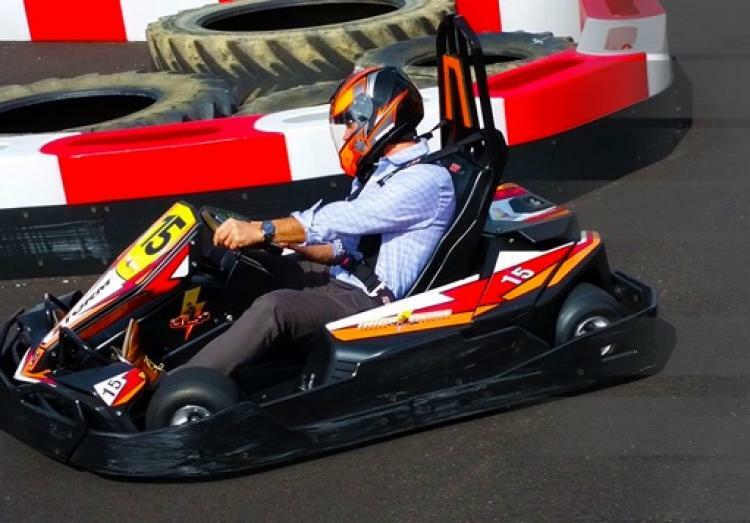 Join fellow NTMA members and their families for an exciting night racing around the go kart track in Medina on Wednesday, July 18th! High Voltage Indoor Karting is the first of it's kind in Northeast Ohio and reaching speeds up to 50mph, it is sure a thrilling experience! Akron NTMA will meet at 6pm with go kart races starting at 6:30pm. Dinner, snacks and drinks will be served after the races! **Children 14yrs old and up may race in adult carts and children 9yrs and older will race in junior carts. $15 per person includes, 1.5hrs open for racing, dinner, drinks and snacks.